Google has been voted 4th in the best global brands report of 2010 run by Interbrand. In fact, Google has managed to increase their ranking from 6th to 4th; yet more proof of that fact that PPC Advertisers should still be seeing Google as their best avenue for PPC Advertising success. Yahoo is ranked 66th, down from its 64th position last year. Sad faces at Yahoo and happy faces at Google. Coca Cola, IBM and Microsoft beat Google this year for 1st, 2nd and 3rd places respectfully, but the top search engine, the search engine that is still favored by the majority of internet users, is Google. 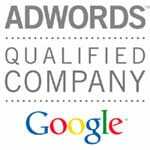 Google is the PPC Advertiser’s best hope. AdWords Advertisement Auction Explained through VideoWhat is the AdWords Small Business Center?